We're just not quite sure how R2-D2 does it. He single-handedly delivered the plans to the Death Star to the Rebel Alliance, he helped Luke land the finishing blow to the Death Star and he's gotten his friends out of a jam on countless occasions, all while being the cutest droid in the a galaxy far, far away. Technology might not be at the point where we can make astromech droid like him, but we think your little girl is just as helpful as the little droid and definitely cuter than him, so maybe she can be your little helper on your next Star Wars adventure! 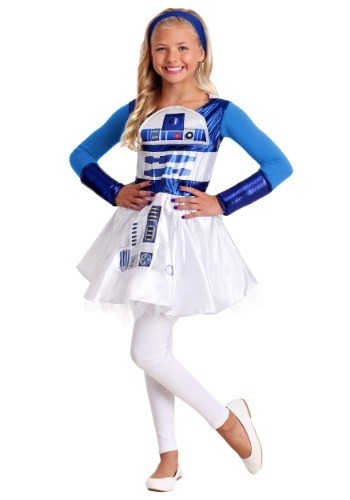 This girls R2-D2 dress is a costume based on the signature character from the Star Wars movies. The front of the dress is shaped to look like the adorable droid. It even has a dome-shaped top, like R2's head and various other details that recreate the classic style. Your girl will have plenty of fun being your personal astromech droid, even if the closest thing to an X-Wing that you pilot might be the family mini-van. For extra fun, you can dress up in one of our C-3PO costumes to become the comical droid duo! 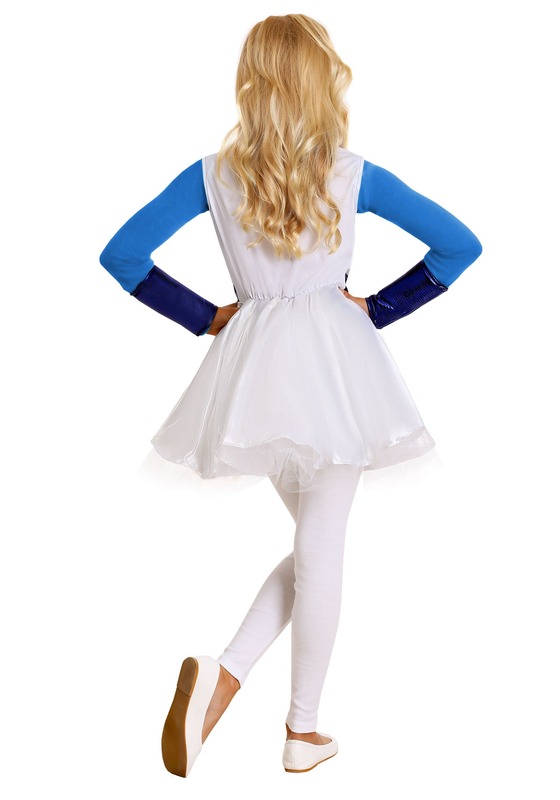 This costume features a sleeveless dress along with a pair of wrist gauntlets. Printed and embroidered details feature Artoo's signature Droid style, and it has an attached tulle tutu underlayer for extra effect. 100 percent polyester, this costume is Star Wars officially licensed. We're all about the action from the galaxy far, far away, so we've got costumes for all your favorite characters. Shop our entire selection to get your entire family ready for some Star Wars fun!